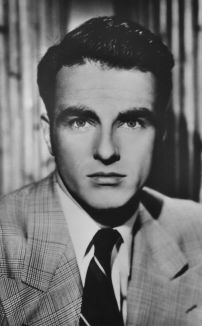 Along with Marlon Brando, Montgomery Clift typified the emergence of a new breed of Hollywood star: Prodigiously talented, intense, and defiantly non-conformist, he refused to play by the usual rules of celebrity, actively shunning the spotlight and working solely according to his own whims and desires. A handsome and gifted actor, he channeled the pain and torment so rampant in his private life into his screen and stage roles, delivering remarkably poignant and sensitive performances which influenced generations of actors to come. Born October 17, 1920, in Omaha, NE, Clift began performing in summer stock at the age of 14 in a production of Fly Away Home. Within seven months, the play was running on Broadway, and throughout the remainder of his teen years he remained a fixture on the New York stage. Next, in 1935, was Cole Porter's Jubilee. In 1940, Clift also appeared with the Lunts in There Shall Be No Night, and in 1942 performed in The Skin of Our Teeth. His work in the Lillian Hellman smash The Searching Wind brought any number of offers from Hollywood, but he rejected them to appear in The Foxhole in the Parlor; finally, after earning acclaim for Tennessee Williams' You Touched Me, Clift agreed to make his film debut in the classic 1948 Howard Hawks Western Red River. From the outset, Clift refused to play the studio game: He did not sign any long-term contracts and chose to work only on projects which intrigued him, like Red River. However, the film was so long in post-production that screen audiences instead got their first glimpse of him in Fred Zinneman's The Search, where unanimous praise for his sensitive, unsentimental, and Oscar-nominated performance made Clift among the hottest commodities in the business. 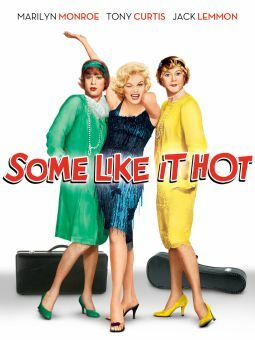 He agreed to appear in three films for Paramount (only completing two): The first was William Wyler's 1949 adaptation of Henry James' The Heiress, with Billy Wilder's Sunset Boulevard scheduled to follow. At the last minute, Clift backed out of the project, however, to star in 20th Century Fox's 1950 war drama The Big Lift. Upon returning to Paramount, he starred in George Stevens' classic A Place in the Sun, earning a second Academy Award nomination for his performance opposite Elizabeth Taylor, who became his real-life confidante. Clift then disappeared from view for two years, coaxed out of self-imposed exile by Alfred Hitchcock to star in the 1953 thriller I Confess. For Zinnemann, Clift next starred in the war epic From Here to Eternity; the film was the biggest success of his career, earning him another Best Actor bid (one of the movie's 13 total nominations; it took home eight, including Best Picture). After headlining Vittorio De Sica's Stazione Termini, Clift returned to Broadway to appear in The Seagull; in order to commit to the project, he needed to turn down any number of screen offers, including On the Waterfront and East of Eden. In total, he was away from cinema for four years, not resurfacing prior to the 1957 smash Raintree County; its success re-established him among Hollywood's most popular stars, but offscreen Clift's life was troubled. Tragedy struck when a horrific auto accident left him critically injured. He gradually recovered, but his face was left scarred and partially paralyzed. Still, Clift continued performing, delivering performances informed by even greater depth and pathos than before. His first project in the wake of the accident was 1958's The Young Lions, his first and only collaboration with Marlon Brando. In 1959, Clift next reunited with Taylor for Suddenly, Last Summer, then starred in Elia Kazan's Wild River. 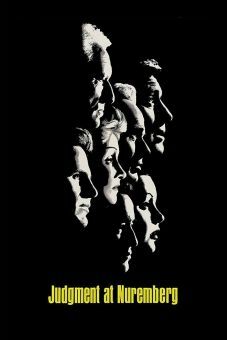 In 1961, he co-starred in The Misfits (the final completed film from another Hollywood tragedy, Marilyn Monroe), then delivered a stunning cameo as a witness in the Stanley Kramer courtroom drama Judgment at Nuremburg. He then starred as Freud for director John Huston. The film was a box-office disaster, suffering a lengthy delay in production when Clift was forced to undergo surgery to remove cataracts from both eyes. He later sued Universal to recover his $200,000 fee for the project; the studio countersued for close to $700,000, alleging his excessive drinking had doomed the picture's success. The matter was settled out of court, but it crippled Clift's reputation, and because of this, and his increasing health problems, he did not work for another four years until director Raoul Levy offered him the lead in the 1966 thriller Lautlose Waffen. At the insistence of star Elizabeth Taylor, he was then offered a supporting role in Reflections of a Golden Eye, but before filming began, he died of a heart attack at his New York City home on July 23, 1966. He was just 45 years old. Made his Broadway debut at age 14 in the comedy Fly Away Home. Took some classes at the Actors Studio in New York when it first opened in 1947. His face was permanently scarred due to a 1957 car accident during the filming of Raintree County. Close friend of frequent costar Elizabeth Taylor. Accepted no salary for his brief role in 1961's Judgment at Nuremberg. Died of a heart attack at 45 before he could begin filming Reflections in a Golden Eye; the part went to Marlon Brando.